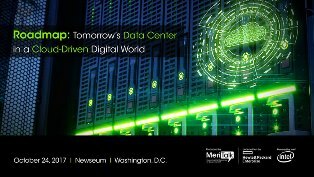 Hewlett Packard Enterprise will discuss how it helps agencies plan for the IT modernization process at the MeriTalk produced event Roadmap: Tomorrow’s Data Center in a Cloud-Driven Digital World on Oct. 24. Speakers at the event will include Rep. Will Hurd, R-Texas; Johnson Joy, the chief information officer at the Department of Housing and Urban Development; and Dan Pomeroy, director of the Data Center Optimization Initiative at the General Services Administration. Colin Coyle, director of the U.S. Public Sector of Pointext Technology Services Consulting at HPE, said that data center infrastructure is no longer a 30-year investment like the Federal government has been used to. Now agencies could use a certain system for 18 to 36 months before it gets ripped out and rebuilt. “Government should leapfrog into this new world,” Coyle said in an interview with MeriTalk. HPE combines its knowledge of infrastructure and software to advise agencies on how and what data centers to shut down. One formula for modernization is for HPE to send in a shadow team to update an agency’s IT systems while the Federal employees are still at work on their legacy systems. Unfortunately, this requires a lot of upfront investment, but it will guarantee cost savings in the long term. “It’s kind of hard to keep the lights on and keep rolling while putting a new infrastructure in place,” Coyle said. That’s where the Modernizing Government Technology Act’s working capital fund comes in, according to Coyle. “That’s where some good money can be spent,” Coyle said. Coyle said that the Federal government should also focus on reforming its procurement process to be more agile and support purchasing Software-as-a-Service. Coyle said that industry and government experts will also discuss viable plans for the Data Center Optimization Initiative and how agencies can protect the edge of their networks. This includes addressing a workforce that is ready to retire and teaching younger workers how to operate on Federal systems.